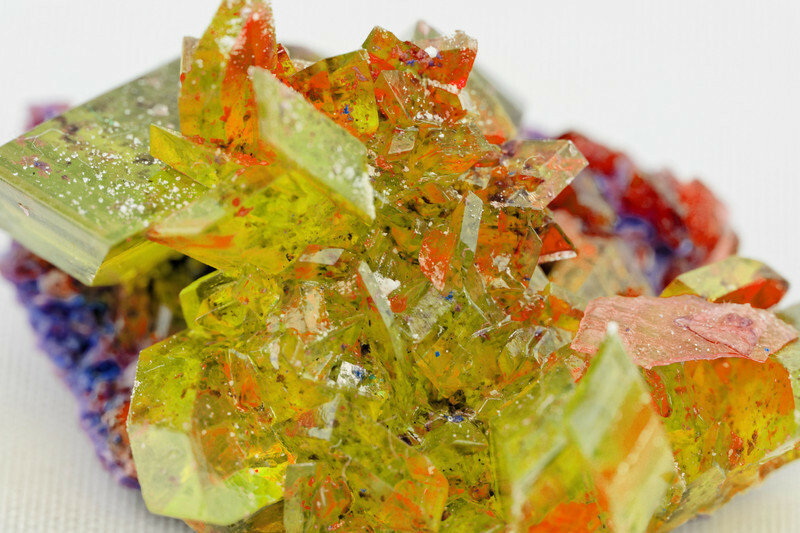 Topaz is the hardest of all Silicate minerals which is created from a combination of aluminium and fluorine. Topaz comes in wide range of colors including, blue, brown, green, gold, pink, red, white, yellow, and clear (colorless). The most popular gem varieties of topaz for jewellery making are the yellow colored stones which are often referred to as golden topaz or as precious topaz and the deep orangy yellow gem, which is sometimes called imperial topaz. The rose-pink variety is produced by the heating of yellow imperial, popularly known as burnt topaz (natural red and pink stones are very rare). The colorless stone is also used and cut so as to resemble the diamond and is sometimes referred to as slave's diamond. 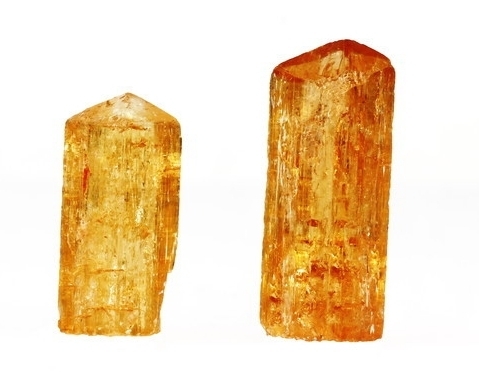 Topaz is frequently found with few or no inclusion. Some experts believe that the name topaz has been derived from the Sanskrit word meaning “fire”. Others believe the origin of the name is after the Island of Topazos where the yellow Olivine gem chrysolite is found. Topaz is vitreous in lustre, and is often beautifully clear and limpid. The variation of the specific gravity for topaz of different color is as follows: pink, 3.50-3.53; yellow, 3.51-3.54; colorless, 3.56-3.57; blue, 3.56-3.57. Topaz ranks 8 on Moh's scale of hardness. Topaz is the birthstone for November and is the gem for 16th wedding anniversary. Topaz is found in placer deposits, pegmatites, and volcanic rocks. Many of the topazes used in jewelry of modern times have come from Brazil. The principal locality is near Ouro Preto in the south of Minas Gerais, where crystals of every shades of yellow from very pale to deep-wine tint have been found. 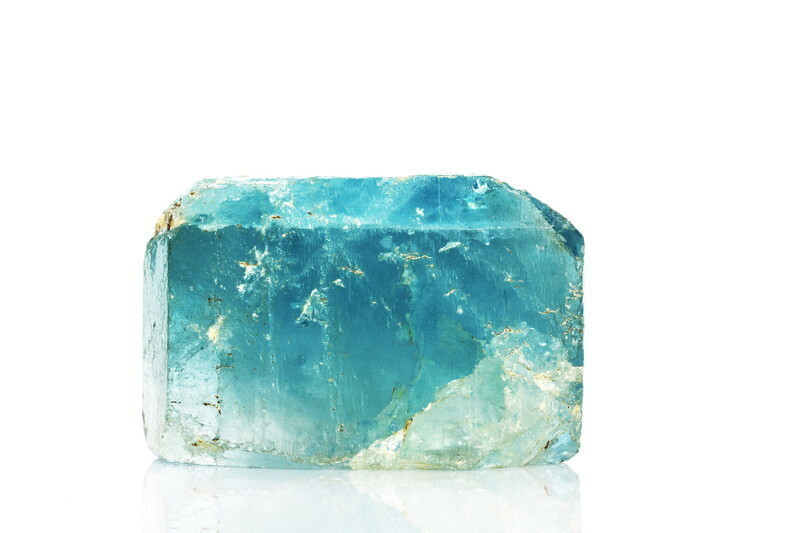 Gem quality topaz also can be found in Mexico, USA (color less and blue topazes come from California, Utah, and Colorado), Sri Lanka, Russia, Japan (mostly colorless topaz) and Zaire. You can find our interactive map for gemstone of the world Here. Topaz gemstone was a rare and highly sought-after stone in the Middle ages and for centuries after, until vast deposits of the gemstone were discovered in Brazil in the nineteenth century. The Greeks believed that the blue topaz could increase strength and make its wearer invisible, while Romans believed it could improve eyesight. can be created using a combination of heat and irradiation. The color of enhanced topaz is usually very stable. Topaz also can be treated using diffusion method; this method involves heating topaz gemstones over a prolonged period of time with a chemical contact. It is worth noting that the resulting color change occurs only over the surface of the stone, while the center remains untouched. 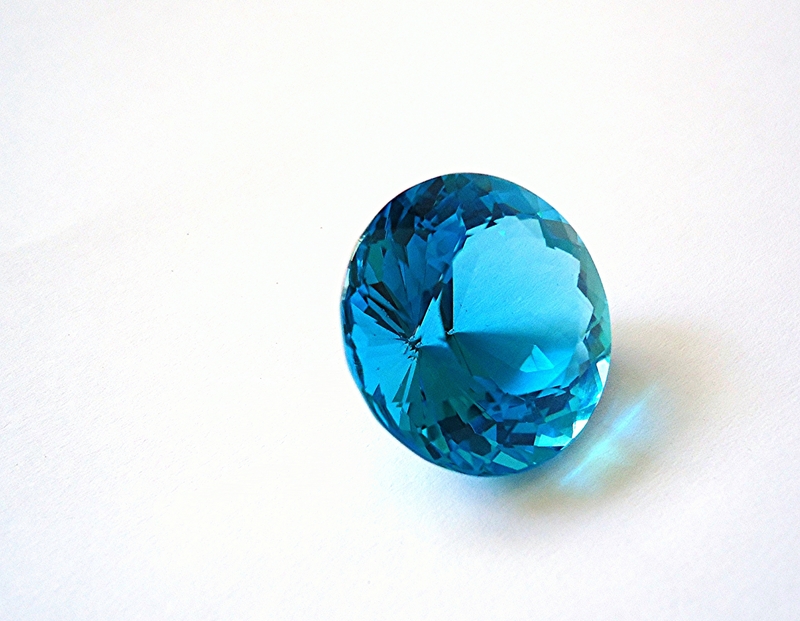 Gem quality topaz is usually brilliant cut and takes excellent polish. Although topaz is a hard stone but due to its structure it may break or split if subjected to hard blows or sudden changes in temperature. Topaz should never be cleaned in an ultrasonic cleaning machine. Topaz can be cleaned with most any commercial jewelry cleaner or mild soap and lukewarm water using a soft brush. Be sure to rinse and dry your jewelry thoroughly after cleaning. Shop from our Amazon-powered store Here. Healing, money, mental agility, visual acuity, peace, opening heart, motivation, leadership.